Alright, Google. It's time to stop leaving your VoIP service to languish on the vine. Facebook has released a double-whammy of big news bits. 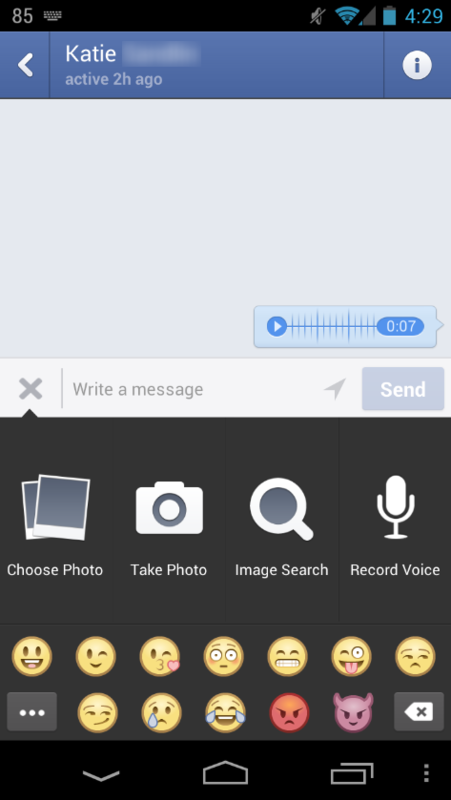 For starters, today the social network is rolling out an update to its Messenger app that will allow users to send each other short, recorded audio clips. It's voicemail for the 21st century, if such a thing can even exist without being horrible. And, really, this sounds like it's not. 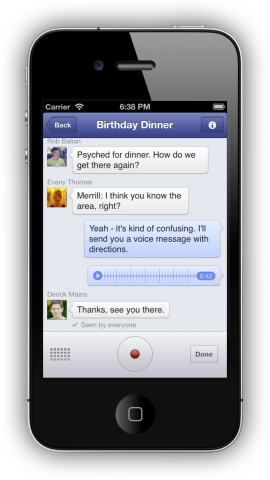 Perhaps more interestingly, though, is that Facebook is also testing free VoIP calling in Canada right now. This is a huge deal, as it competes directly with Google Talk. Right now you can use Talk to place voice calls to other users, but as anyone with an Android phone could tell you, there are vastly more people who use Facebook than Google Talk. Of course, the bigger problem is convincing people to turn to their IM service for two-way voice calling. For starters, VoIP calls over 3G networks are still not as high-quality as phone calls and WiFi/LTE have less coverage than current purely-phone networks (in most areas). Oh yeah, and there's that whole ditching-the-phone-number thing that would be difficult to program people to do. Either way, though, one-way voice messaging is a great new feature that brings Messenger up to par with things like iMessage. Meanwhile, Google's communication services are still pretty scattered. In his comprehensive preview of 2013, Ron predicted that we would see a grand merging of the various communication services. If this is how the competition is starting 2013, Mountain View is making a mistake if they're not working on that. 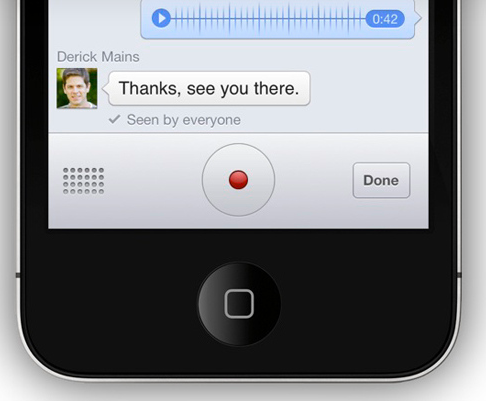 In any case, the update that brings one-way voice messaging should be rolling out at some point today. Widget below for those who don't already have the app. Update: The update is rolling out now (some of us have already received it) but if you haven't, you can force an update from the Play Store by heading to the web client via the widget below and selecting to install it on a device that already has the app downloaded. Or installing it fresh on one that doesn't have it at all, of course. Update 2: Hands-on time! So, the way this works is kind of odd. 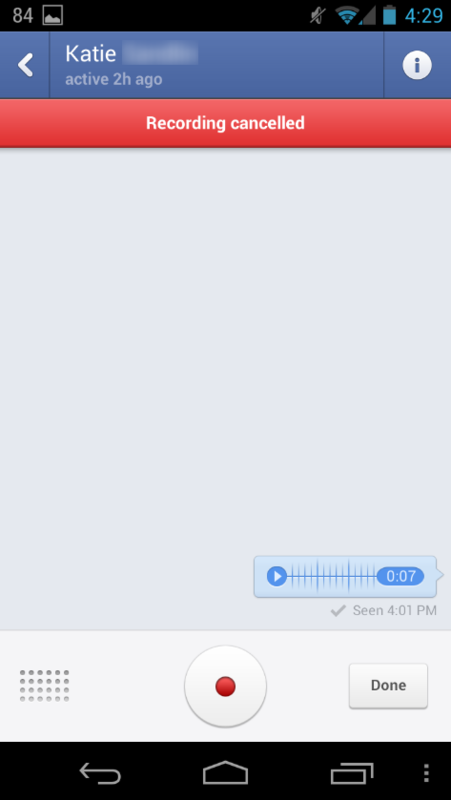 While voice recordings are treated like just another kind of message you can send. 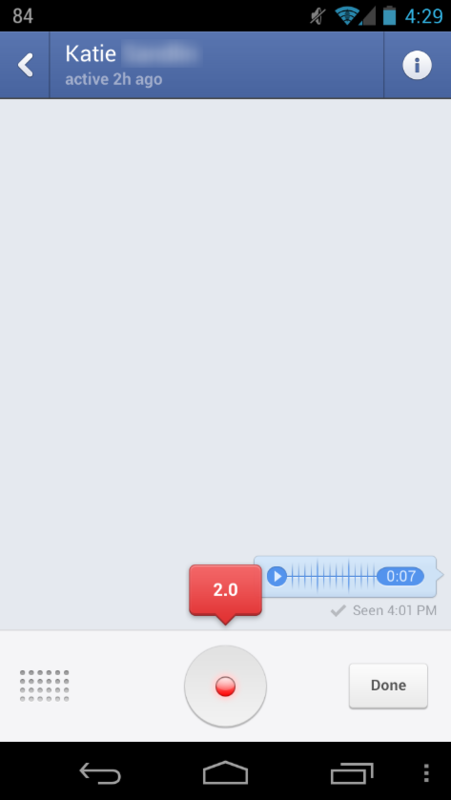 Just tap on the + sign next to the text box to send a voice recording. Once you do, a button with a red dot will appear. 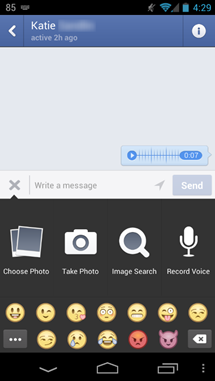 Here's where things get interesting: to record, you hold the button and speak, then let go to send. 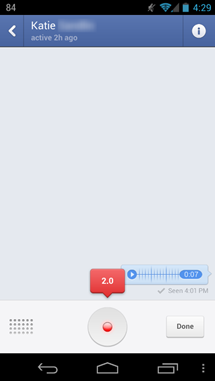 If you make a mistake, you move your finger off the button, and then release, at which point it will cancel the message. It doesn't quite feel entirely natural. One wonders why a simple "tap to start, tap again to stop" wasn't implemented, but it's a minor quibble. Otherwise, the service works just fine. 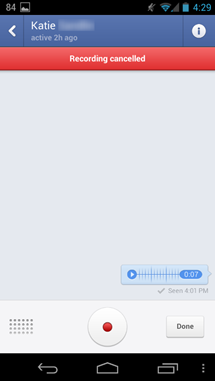 I was able to send a 7 second voice message relatively quickly, and the person on the other end played it back about ten minutes later. I could definitely see this being handy.